Disappointing. 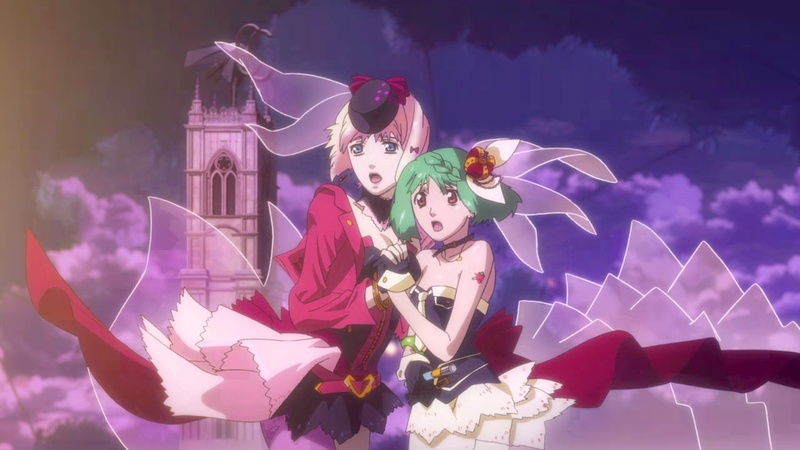 If you ask me to give you a one word impression about this second Macross Frontier movie, that's what I'll give you. If all you're looking for some big CG flashes and bangs accompanies by pop musical, then you won't be disappointed, because there are plenty of that. However, if you're looking for anything beyond that, unfortunately, there isn't much. Simply put, while the first movie is somewhat acceptable as a story that went a bit too far towards the end, this second movie, not only did it not try to pull it back to make it a bit more sensible, it built upon it and went straight land of ludicrousness. The story went from silly to idiotic to outright insane in no time. It got so ridiculously ludicrous that it's not even laughable any more. Like most theatrical anime release, the plot of the story has been re-written and re-arranged so it's not just a shortened version of TV series. But just as most TV to Movie anime, the shortened time frame restricts character development, especially for a project scale as big as this one. Even with almost 2 hours run time, many part of the plot still felt rushed to make time for lengthy space combat and musicals. In my opinion, it is totally worth spending the time to watch the original Macross Frontier TV series rather than watching this shorten version. On a side note, I mentioned in my post about the previous movie that they literally modeled Macross Frontier City after San Francisco. In this episode, we see that not only they have the famous landmarks such as Lombard street and Golden Gate Bridge, they even modeled an Alcatraz!